Joe has a background in business/administration for 35 years and also served as Operations Manager for rebuilding retail stores and several new construction outlets. Over most of these years, Joe took on the challenges of staging the retail locations to match other company locations. For the past 13 years, Joe has developed CTX Roofing LLC into several divisions; residential roofing, commercial roofing, and we are pleased to announce CTX Gutters to the operation. The CTX family will continue to develop and grow with highly professional people. Our management staff has over 80 years’ experience in customer service. Joe has been a proud sponsor of Boys Scouts of America since 2006, Lyons Club, St. Jude Children’s Cancer Hospital, and Lago Vista ISD. Ashley Goodwin has been a career roofing professional since 1998 in Central Texas! 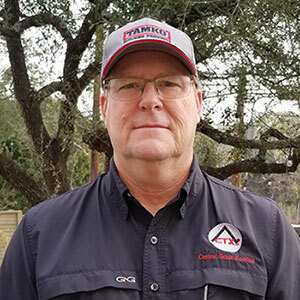 He has been the Senior Estimator and Project Manager with CTX Roofing, LLC since 2007 and before that, he represented The Freeman Company starting in 1996. He knows roofs! All kinds of roofs, including Composition Shingles, Metal Roofing, Tile Roofing, TPO and PVC Roofing. Ashley has a long history with residential applications, but has learned and mastered commercial and multi-family roofing projects in recent days as well. He also manages the CTX Roof Repair Division. He, along with Owner Joe Spivey, is the heart and soul of CTX Roofing! Their commitment to excellent customer service has earned the company an A+ rating as an Accredited Better Business Bureau Contractor – ongoing since 2008 (with 0 complaints). In his limited free-time, Ashley enjoys spending time with family, motorcycle riding, photography, RV Camping, deep sea fishing, and going on cruises. He is known as a man of integrity, friendliness, and commitment! 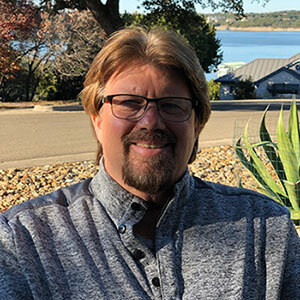 After finishing his Marketing Degree at Stephen F. Austin in 1987, John worked on and managed his first roofing project – a commercial flat roof for the Texas Department of Insurance near downtown Austin. 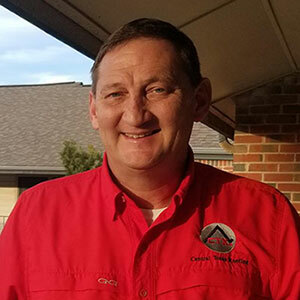 He left the roofing industry for a while but in 1995 re-entered roofing by starting a crew in the Dallas Metroplex where he worked on replacing many roofs damaged by the largest hail storm in US History. In addition, he started and managed a crew to install the Leaf Guard rain gutter system through Aluminum Roofing Specialists in Arlington, TX. In 2004 and 2005, John served as an Estimator and Insurance Negotiator with the Freeman Company in Round Rock, TX. In 2006 & 2007, John worked the damaged areas created by the 4 hurricanes in Florida through Dean Roofing (out of New Braunfels, TX). He returned to the Freeman Company in 2007 where he sold not only roofs but also rain gutters, windows, insulation and siding. In 2009, John established his own general contracting company – Cardinal Roofing and Remodeling. After the economy crashed in 2009, John left the industry and worked as a Retail Manager from 2010 to 2017 – managing over 70 employees at a large Farm and Ranch store in Fort Worth, TX. In late 2017, he was recruited by CTX Roofing, LLC in Austin, TX. He accepted the position as Sales Manager in early 2018 and has been there ever since – building the residential side of the business. John is also a Licensed Realtor and works with REMAX Premier in Pflugerville. This gives him the owners’ perspective of exterior projects and their effect on home values. John is known for his honesty, integrity and friendly demeanor and will provide you referrals from his many satisfied clients. He will work hard for YOU on your home project! In his free time, John spends time with his grandkids, is active in church, and loves to build lasting relationships in the community!